Wouldn’t you agree sometimes the best food is the most simple food? 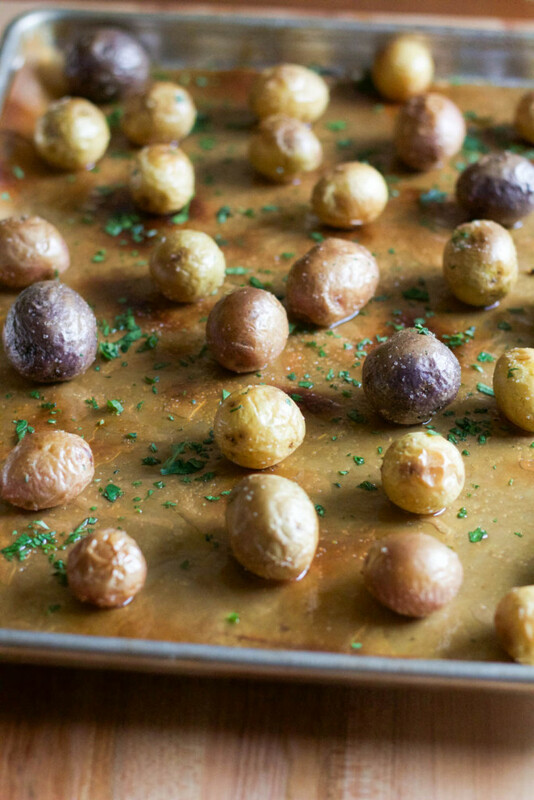 Case in point these Easy Roasted Baby Potatoes. 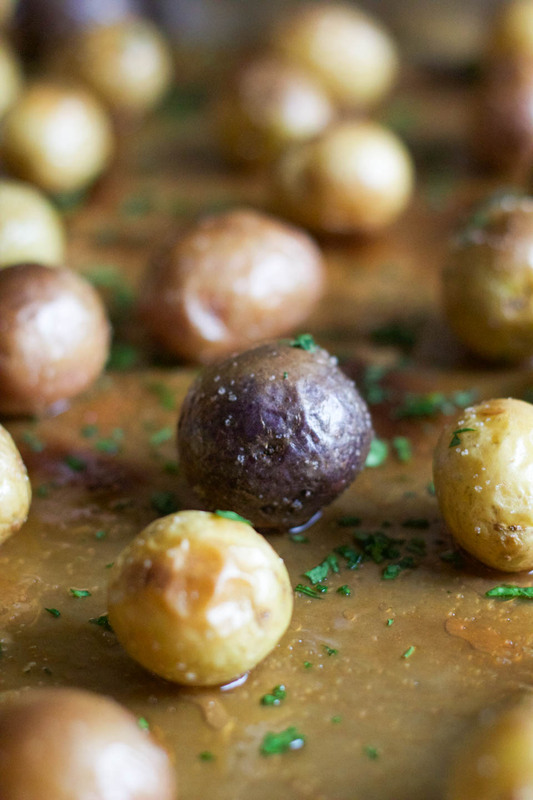 Olive oil, salt, and potatoes roasted to perfection. I learned over the years, and many times my style of cooking, the technique and ingredients can make all the difference. Simple food is my favorite, I am a bit of a purist. Not always but frequently. 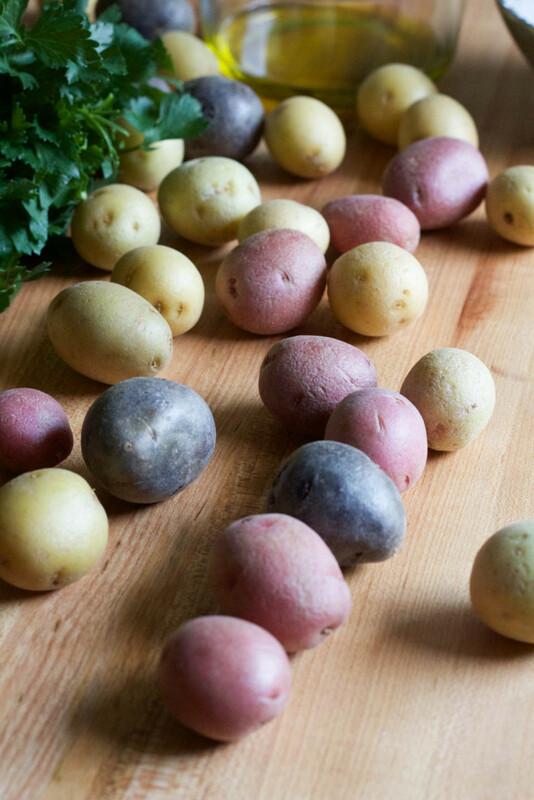 These potatoes are great with anything. I made them the day our neighbor dropped off a bag of oysters from Hood Canal here in Washington. The week before he had given us a bag, I ate a dozen to myself :), and we talked about him bringing us more. So I knew I needed some other goodies on the table to go with our oysters, and for people that didn’t want to eat the oysters. More for me! So I thought these would go great with that meal, simple and so good. It worked out perfectly, everyone had a full belly and left happy. Especially after helping us pack more! Place oven rack in top third of oven and preheat to 425 degrees. 1. 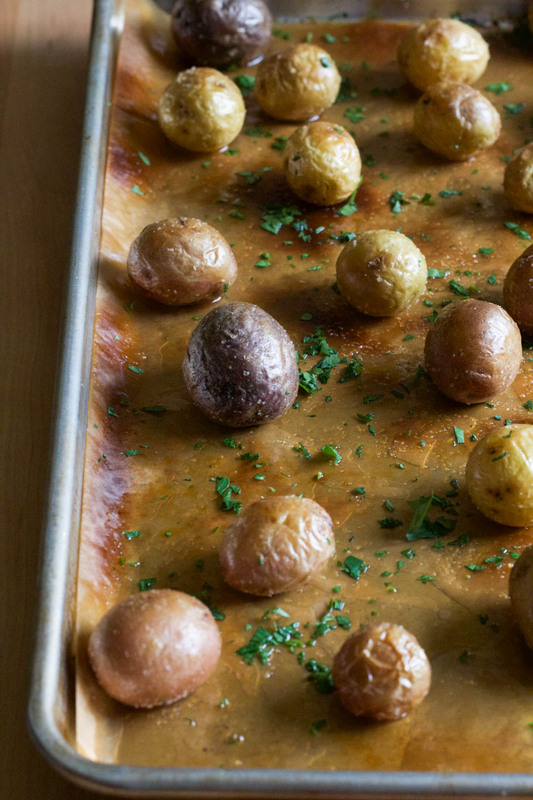 Place potatoes on a parchment lined baking sheet. Pour olive oil over potatoes. Sprinkle with salt, and mix to coat evenly using your hands. Spread evenly on pan so they are not touching. Place in oven for 20 minutes, or until crispy golden brown. You could also broil them for 3-5 minutes on high after baking for the 20 minutes, for extra crispy. Serve warm sprinkled with fresh parsley. Store in airtight container for up to 3 days. I couldn’t agree more, the best food is often the simplest! Nothing beats roasted potatoes! I image these would be great “smashed” too. Love all the different colors. Such a good call, my Mama said the same thing!